There appears to be no topic related to human life that Bhagawan has not touched upon in His Divine Discourses. In this posting, Bhagawan delves into the nuances of a very significant aspect of our behaviour - smile. How should one smile or laugh? Swami says that it is very important to consider the time, the place, the context and the company in which you smile or laugh. A wrongly timed smile or laughter can land us in innumerable problems. There are four Discourse excerpts presented in this posting. These have been selected from the Discourses given by Bhagawan Baba in the years 1996, 2002 and 2007. Each audio clip has a name that adopts the following code: Serial number, Title appropriate to the key content, Duration of the clip, Year-Month-Date of the Clip. Below the title is the translation in English of the select excerpt of the Discourse, followed by the audio player. 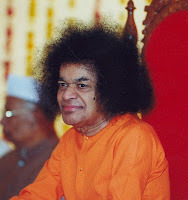 The post ends with a short quiz that would help you evaluate your assimilation of Bhagawan's Message. We must exercise restraint over our talk too. Where and how we must talk is important. There are some who sing foolish songs when some ladies pass by. Is this the song you should be singing with this tongue? What a sacred tongue and what funny and cheap words! By using such abusive words you lose your reputation and you earn a bad name. You become a victim of ridicule. Therefore, we must exercise some restraint on our talk, looks and smiles. In order to earn respect our actions must also be respectful. When we are good, the respect people have for us will grow. Bliss has no form. Bliss has only one form – form of experience as laughing. Ha ha ha ha – but one should not laugh like that. Laughing like that making a sound is Prakriti Tatva – i.e. outwardly. How does God smile? His smile is Manda Smita Vadanam – soft beautiful smiling face. It is a smile with no sound. It is a smile where the mouth is not opened. It is a smile that bestows happiness on all. It is a smile that confers bliss. The laugh with sound is called Prahasan. The smile without sound is called Hasan. Smile and laughter are different. Therefore, God is always smiling means, He is not laughing by making a sound. All this is cinema laughter. As we watch the movies, we think that God also laughs like that! Next is the mouth. How should we talk with whom? When should we smile and when should we not? This also should be understood by the students. At times in society, watching certain scenes, one tends to laugh. A smile (that is not timely) can put one into lot of difficulties. Draupadi had to face so many difficulties only because of this reason. Dharmaja got a Maya Sabha built. Maya built the palace and handed it over to Dharmaja. How is this palace? Where doors are not there, an illusion of doors is created, and where doors are actually there, it is not seen. Though there is no water, an illusion of a lake is created. Duryodhana entered into this Maya Sabha. Duryodhana entered the palace full of jealousy at the fact that Dharmaja had got such a palace built. He was going straight. Where there was no door, it appeared as though a door was there. Where doors were truly there, it appeared as though there were no doors. Deluded in this manner, he went straight into one of the illusory doors. He hit against the solid wall. He somehow recovered himself and went further. Everything appeared very clean. There was no trace of water or a lake at all. He walked straight looking on either side. His heart was full of jealousy. Jealousy is the reason for one’s destruction. As he walked straight, he fell into one of the lakes. At such times, anyone would be driven to laughter. The maids of Draupadi laughed aloud. Truly speaking Draupadi was not there at that point of time. Hearing her maids laughing so loudly, Draupadi came out from inside her room. Unfortunately, Duryodhana saw Draupadi exactly at that point of time. He thought it was Draupadi who laughed at him and he felt insulted. He then took a vow that since you have laughed at me in public, I too will make sure that you will be laughed at in the open public. Therefore, we must understand when, where, how and in what manner, one should laugh. There are two types: Hasan and Prahasan. Hasan is a silent smile. Prahasan is smiling or laughing loudly – Ha ha ha ha ha. This is very bad. Friends get together and laugh for some reason. At that time, some ladies may pass by. They would feel mistakenly insulted. The reason you may be laughing may be totally different. Therefore, when ladies are walking by, we must never engage in any laughter. If you laugh at others’ ladies, will others not laugh at your ladies? There are some people who go and sit in front of shops in towns without any work at all. They go on laughing looking at people going and coming. Will the women folk related to these bad people never go those shops? Looking at them, there will be others who will laugh. Therefore, one can never escape reaction, reflection and resound. One will have to bear the fruits of one’s actions. Such bad actions will also take you far away from God. The one who would bring himself a bad reputation can never be near God. Soon there will be a time when all will consider each other as brothers. Brother, brother, brother. Sister, sister, sister. Generally we greet each other with a hello. But inside there is only hollow (i.e. no feelings at all). All of you should be smiling always. You should not laugh loudly – Ha ha ha ha. The smile should be sweet and soft. That is the true smile. If you laugh loudly, it is only artificial and it creates turbulence. 1. What are the two types of smiles / laughter? 2. What is the phrase that describes God’s smile? 3. Can you sing any Bhajan where the phrase ‘Manda Smita Mukha” appears? 4. In which Parva of the Mahabharata does the episode of Draupadi and her maids laughing at Duryodhana appear? 5. Where was the Maya Sabha built? 6. Who built the Maya Sabha? 7. 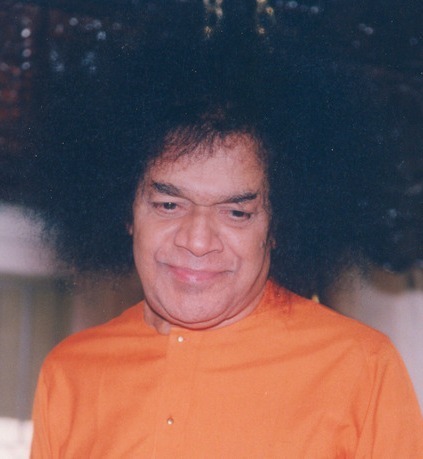 In what context does Bhagawan caution us about Reaction, Reflection and Resound? 8. How should a good smile be? Only goes to show that Spirituality actually lies in the details, in the finer things of life. Something as simple as a smile can also carry such profound meaning in terms of our behaviour and expression. I recall an instance where Bhagawan corrected me for closing the door of the interview room in the Mandir with a "little bang". He said, "Is this the way to close the door? You must close the door very gently. God is in the door also!!" That is spirituality! !